This chalet-style hotel is in the center of Zermatt, just over a quarter mile from Zermatt Train Station and all cable cars. 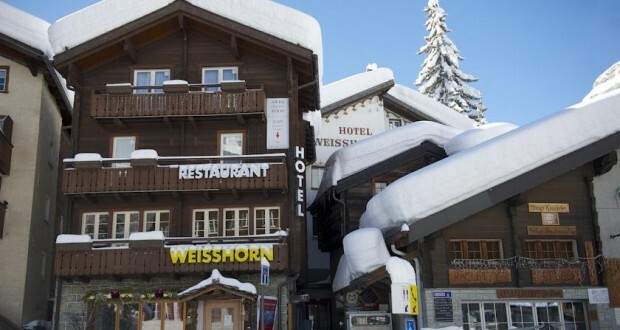 The Weisshorn’s restaurant serves Swiss cuisine and Valais specialties. Rooms include free Wi-Fi. The spacious rooms at Hotel Weisshorn feature cable TV and a hairdryer. Rooms have private or shared bathrooms.